And everything inside is for sale – even the chairs you sit on! 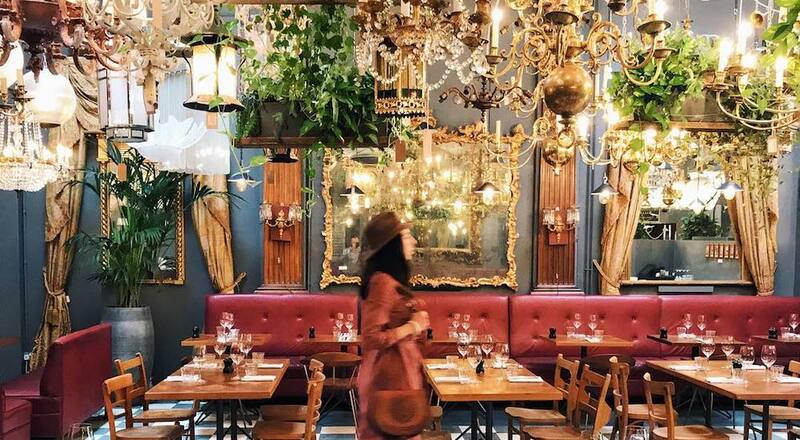 This gorgeous south London restaurant is brimming with antiques – and everything you see is for sale. Come for food or drinks, and leave with a chandelier! Andrea Secret London !! ? ?so many places ! Not enough time & ££ to enjoy ! Ioana Pop Ciucu this is in your hood, should we pay visit ? Daniela Nicola yes it is in my building very nice. Lets go! Katie Reid another one to try. Amazing place. Martina Samakitka another place for us??? Hilary I would if I just could stop myself from buying any furniture or other stuff I definitely do not need ? Sarah Govia Lesley Turnbull Rianne Eimers Yvette Beckley we found it first ? Anne Carroll for the chandelier’s! !